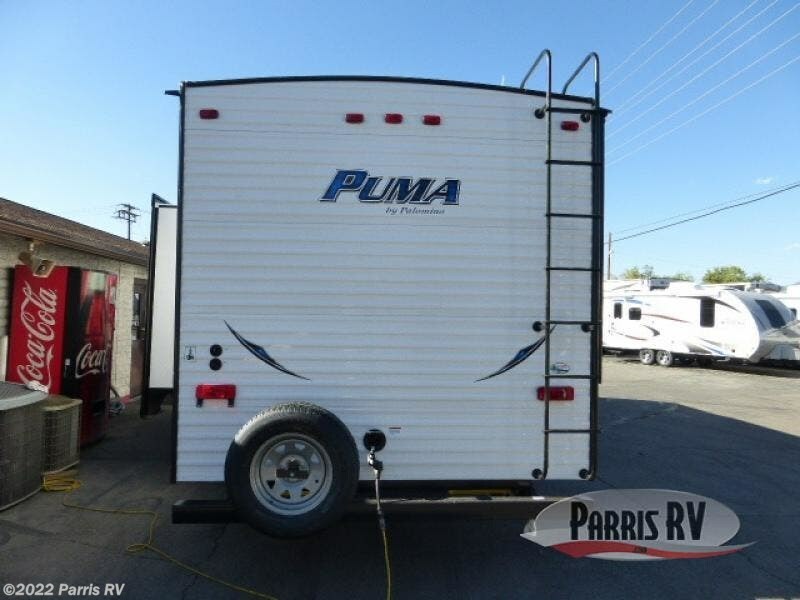 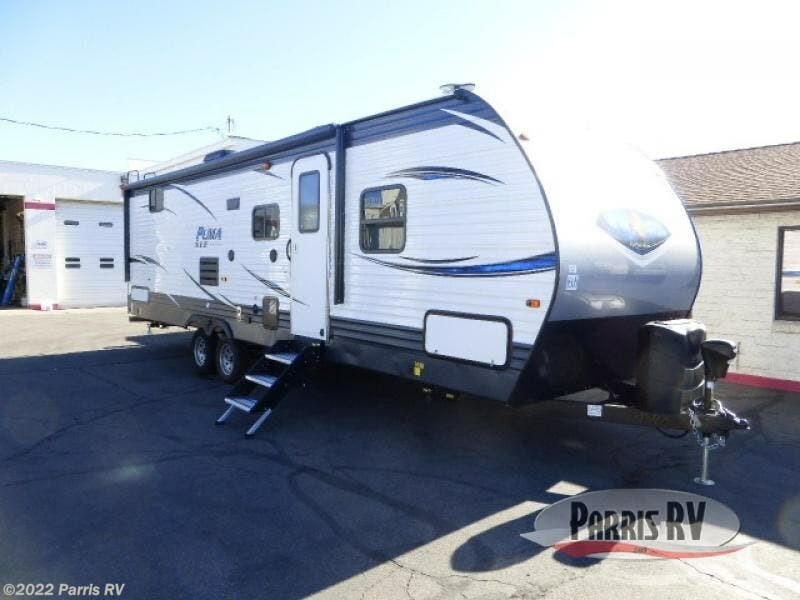 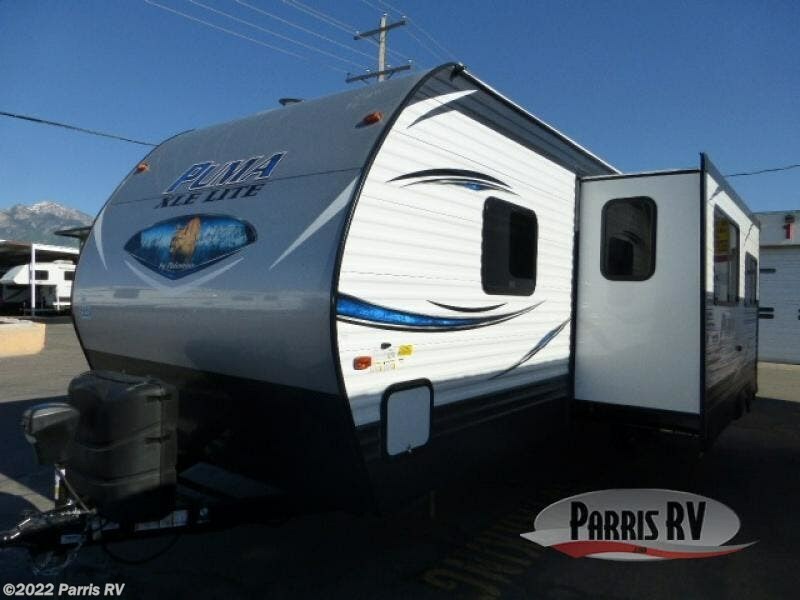 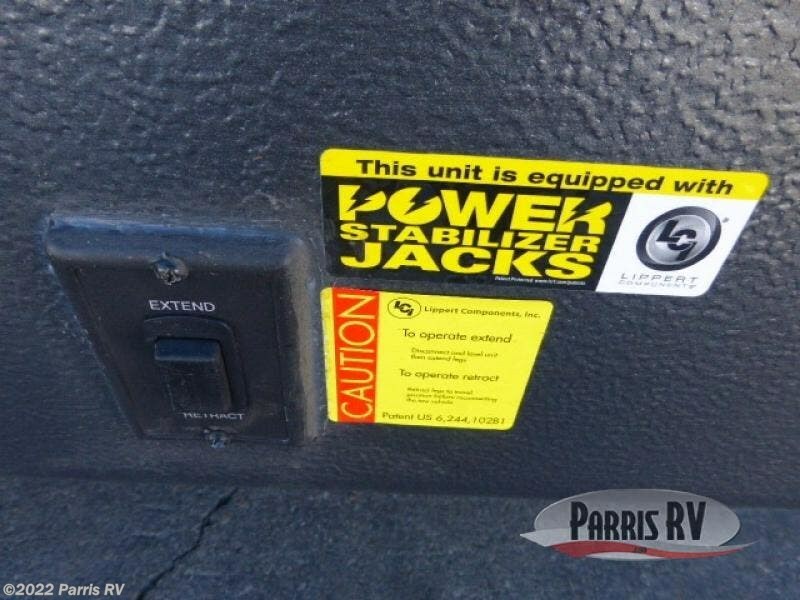 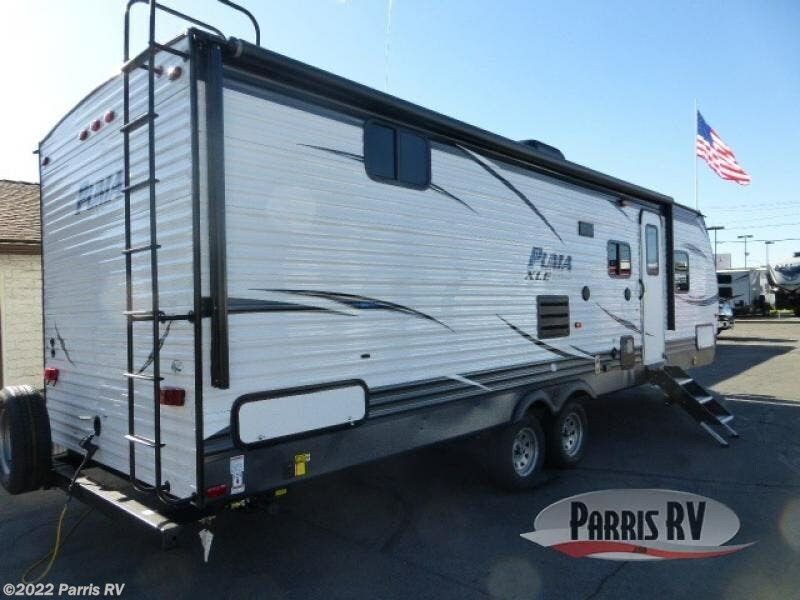 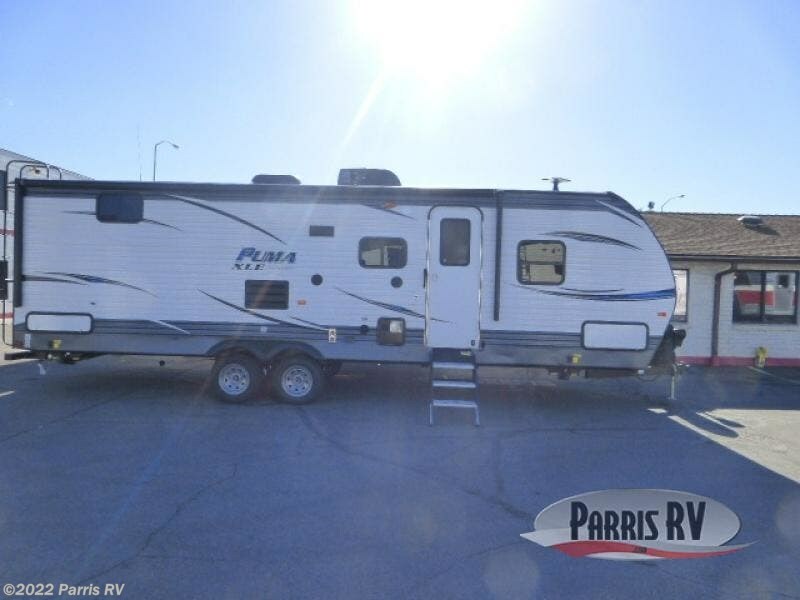 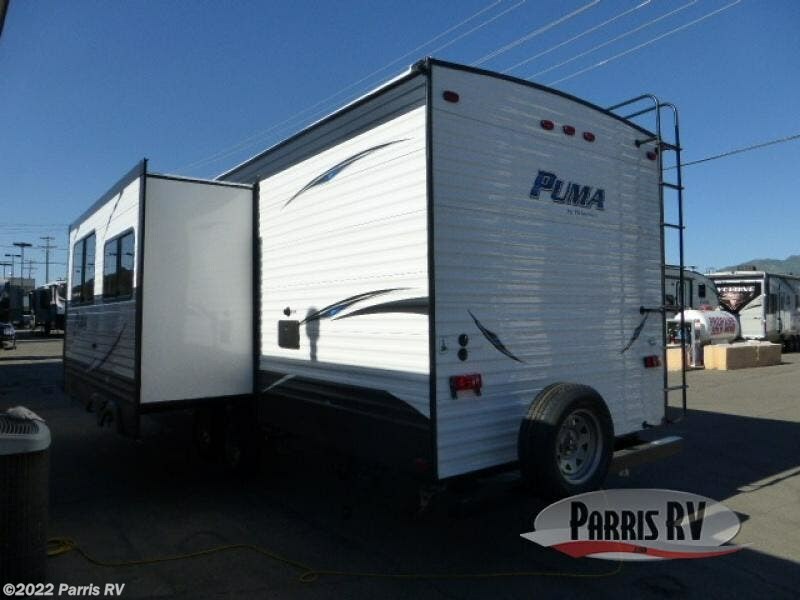 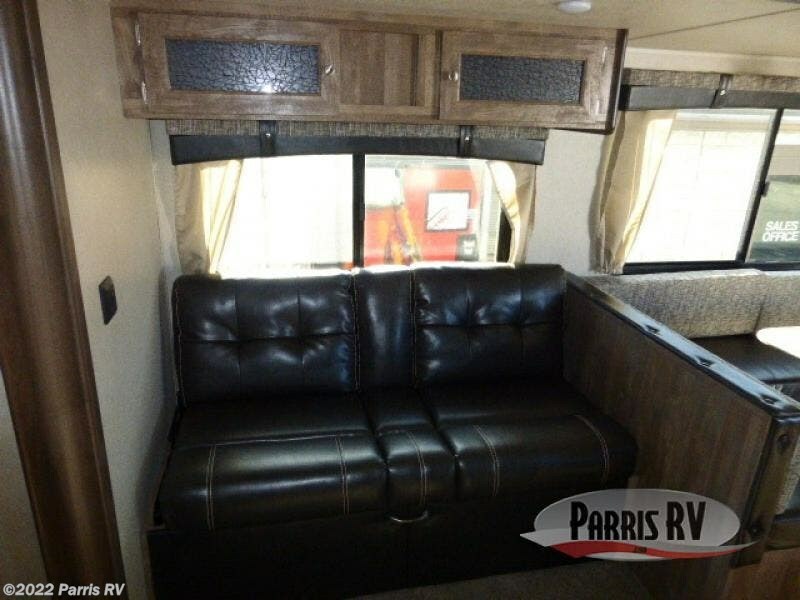 This Puma XLE Lite travel trailer is the perfect option for those who enjoy camping with the entire family. 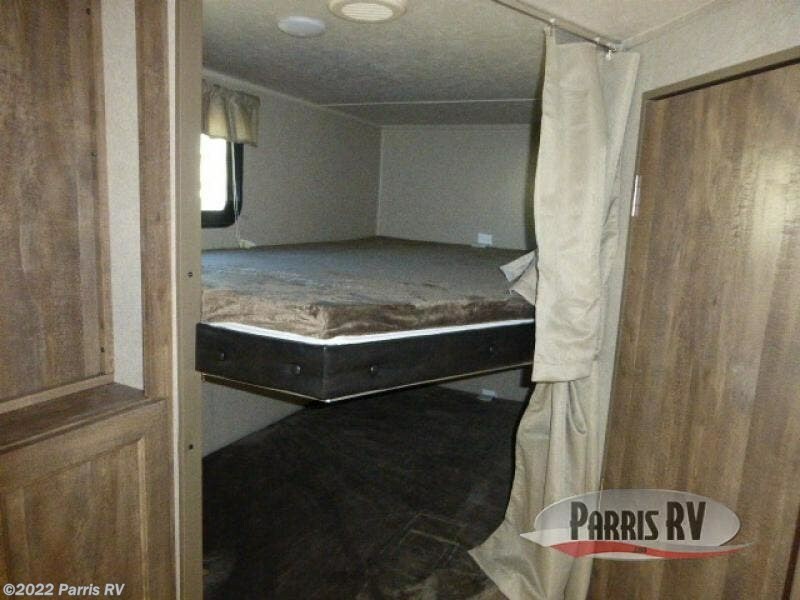 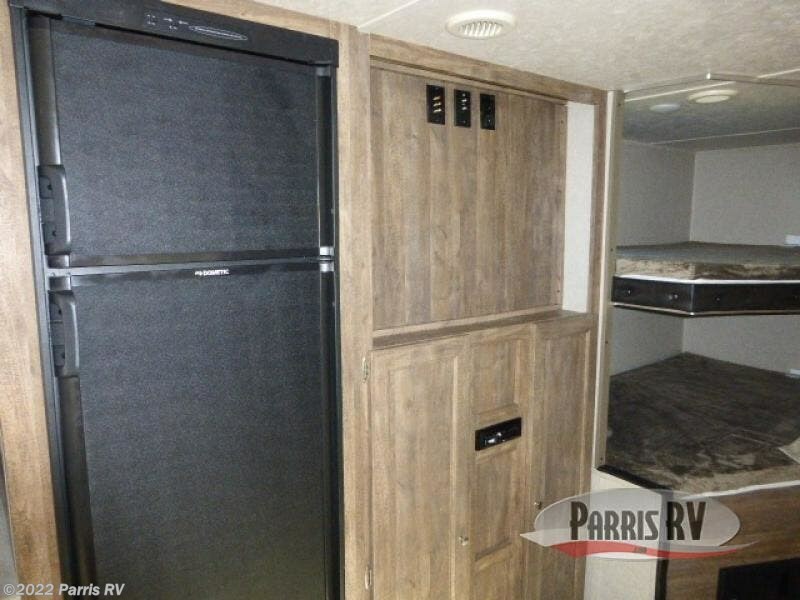 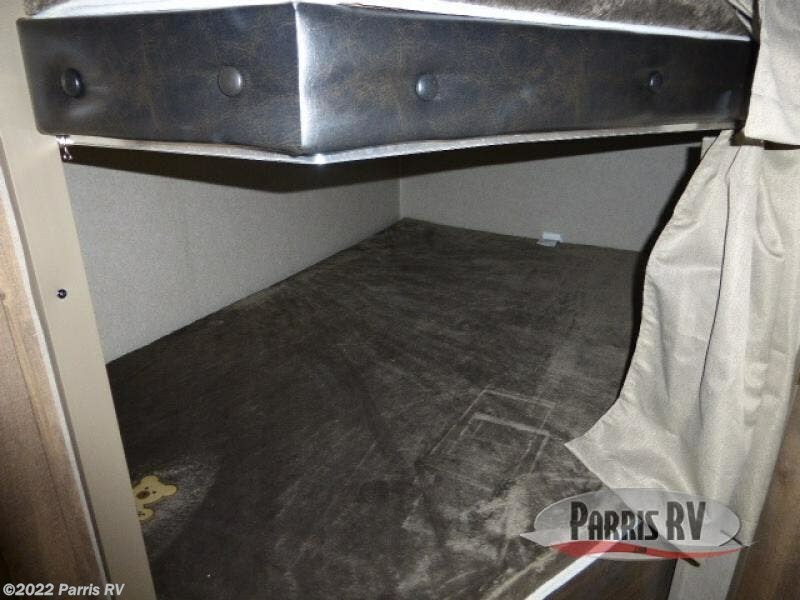 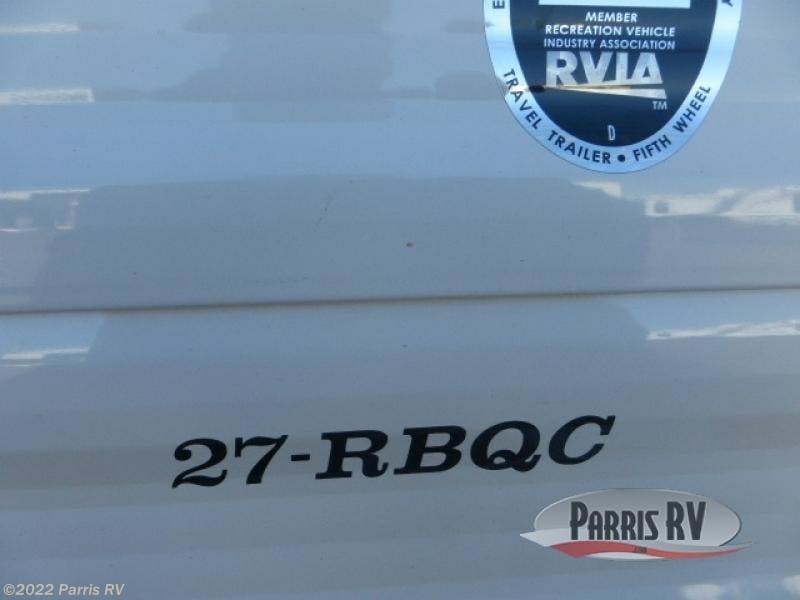 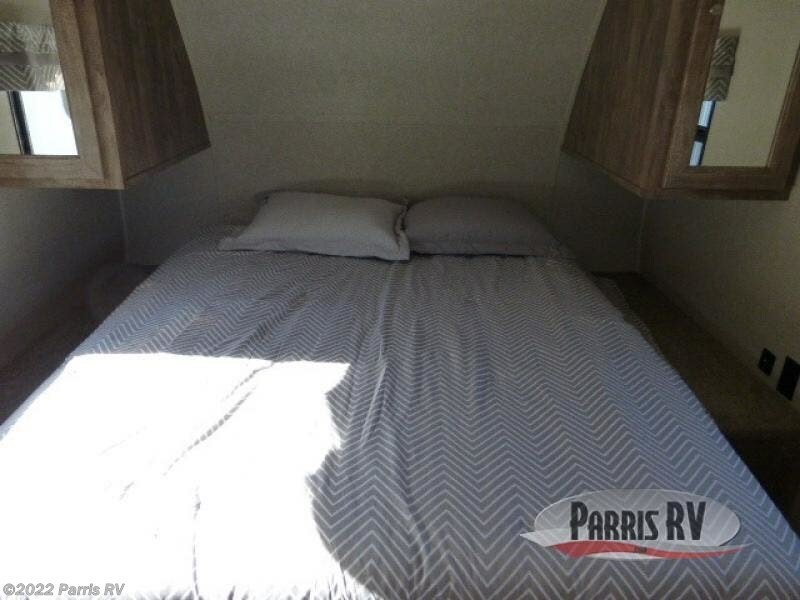 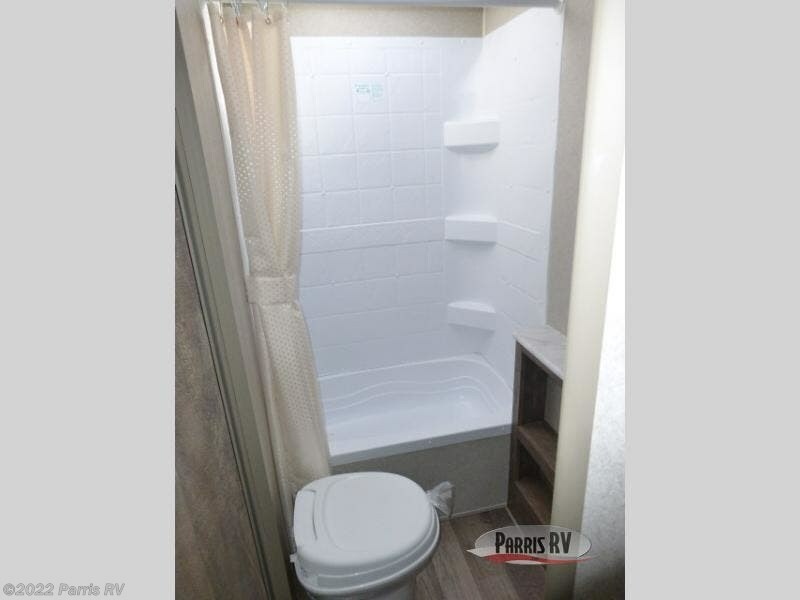 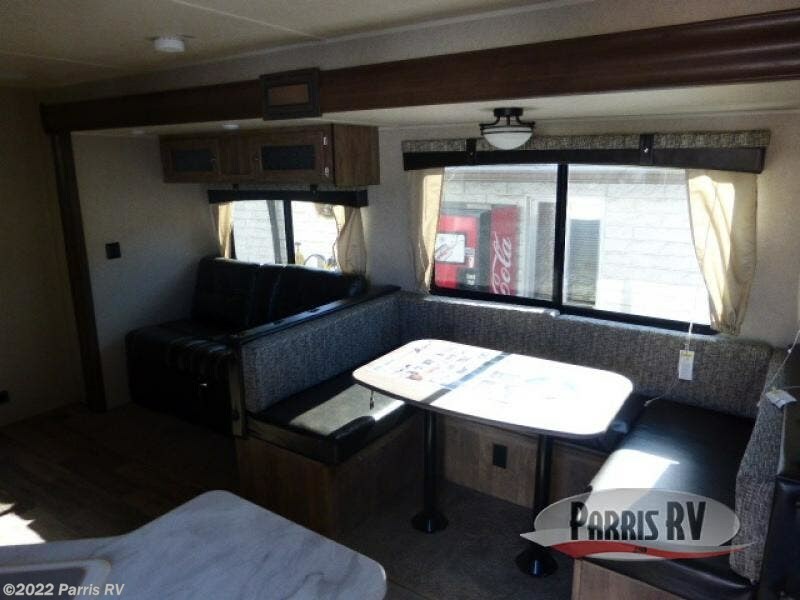 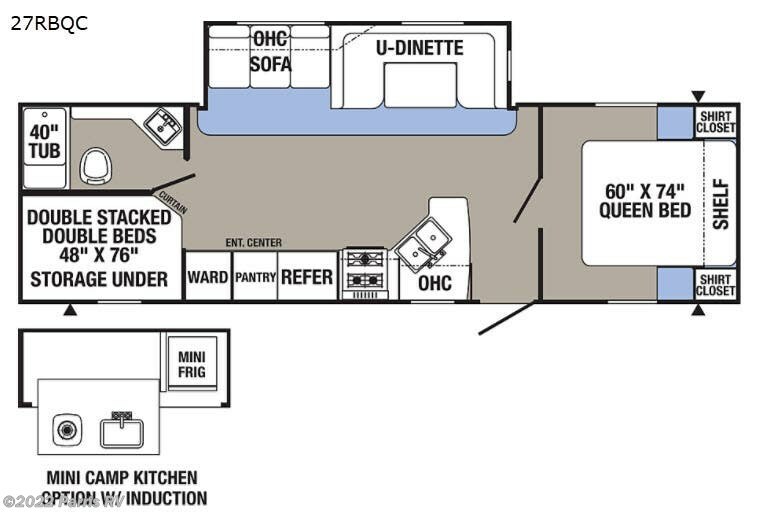 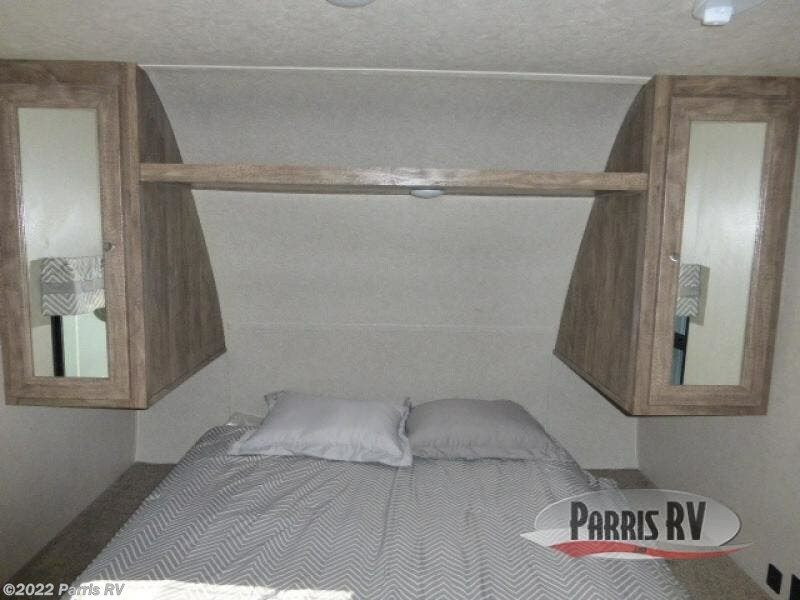 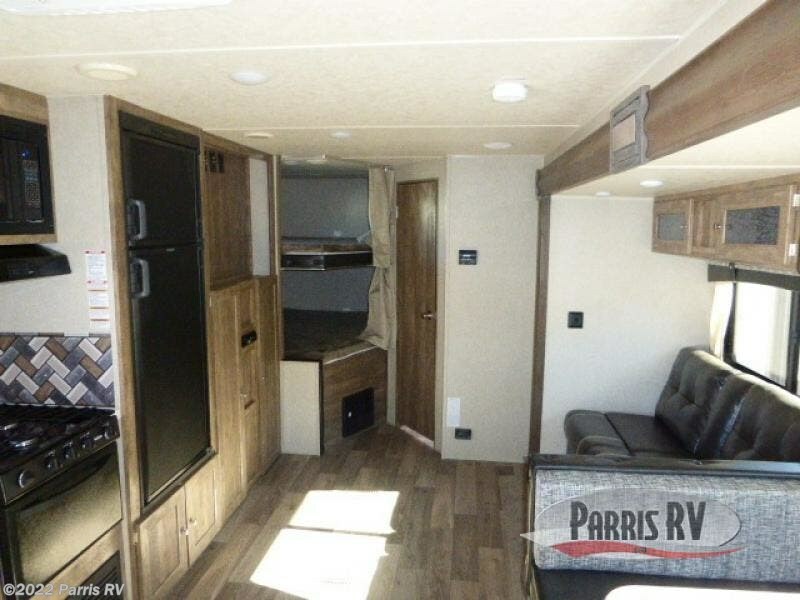 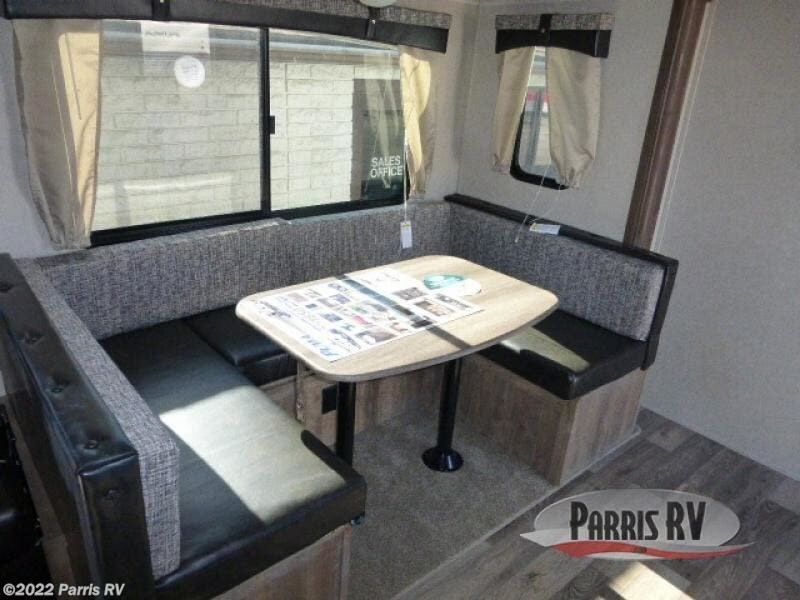 Because this unit includes a queen-size bed in the front, private bedroom and a set of double bunk beds, it can sleep ten people anytime you take it on the road. 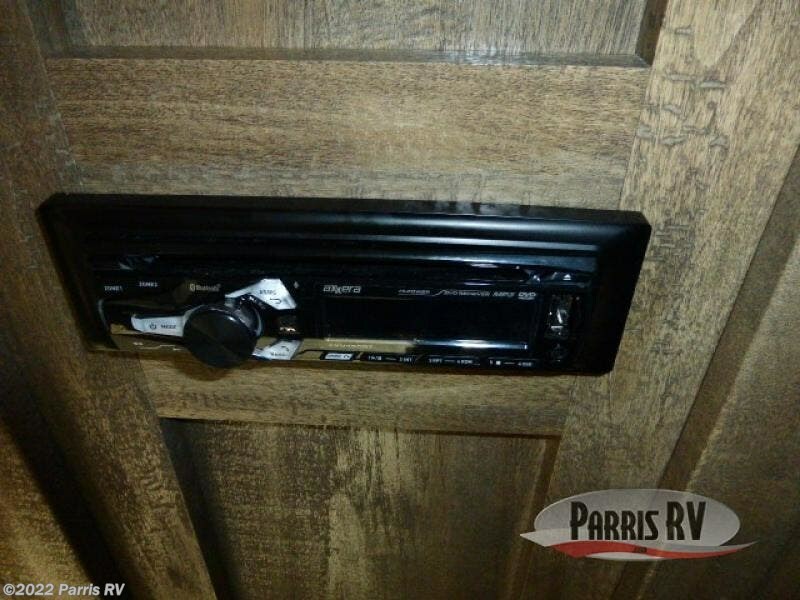 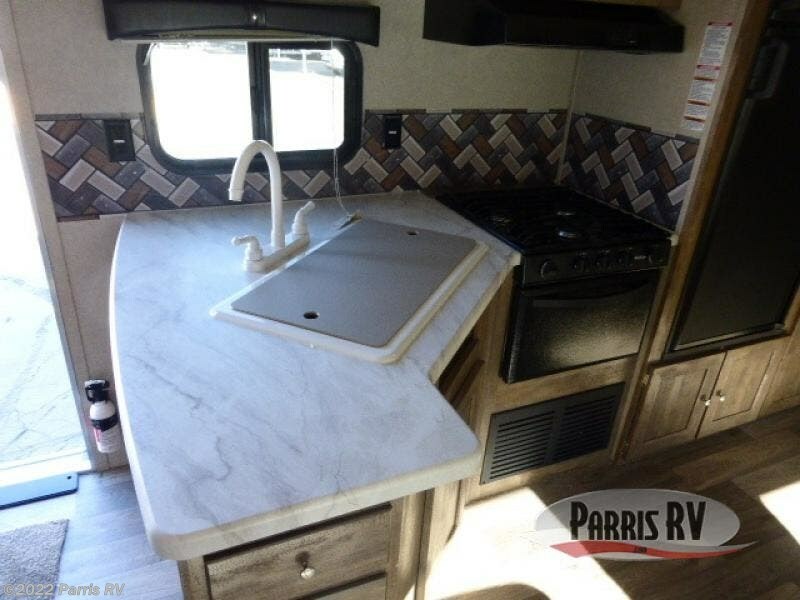 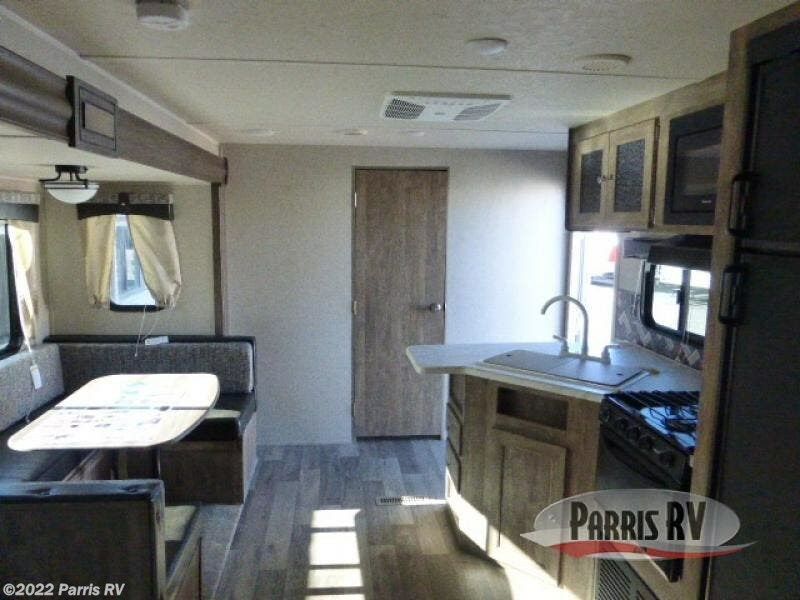 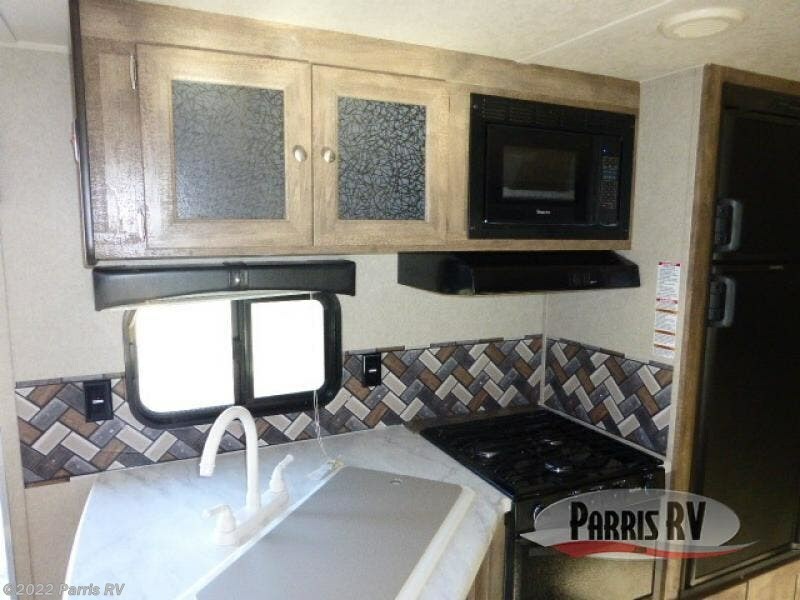 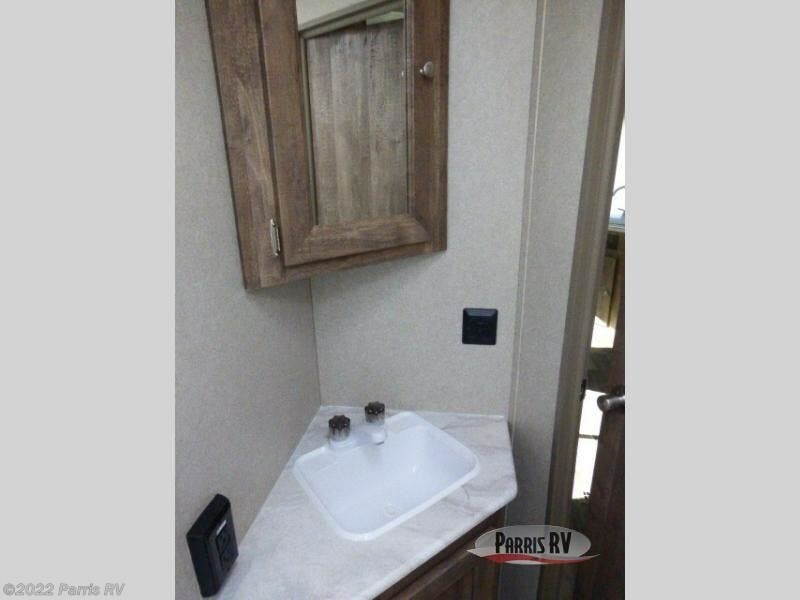 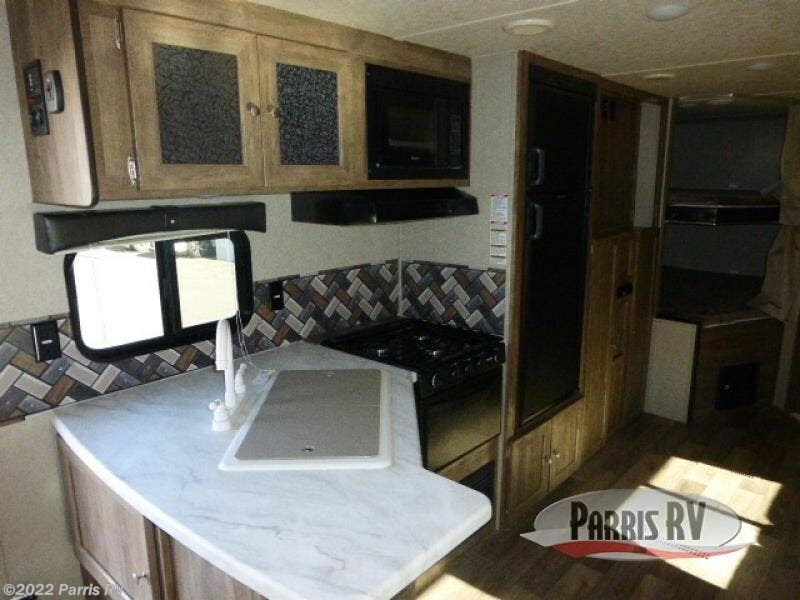 The fully-stocked kitchen comes with a large pantry, 2-burner stove top, and a refrigerator which makes it a breeze to cook up a hot meal for you and your traveling companions. 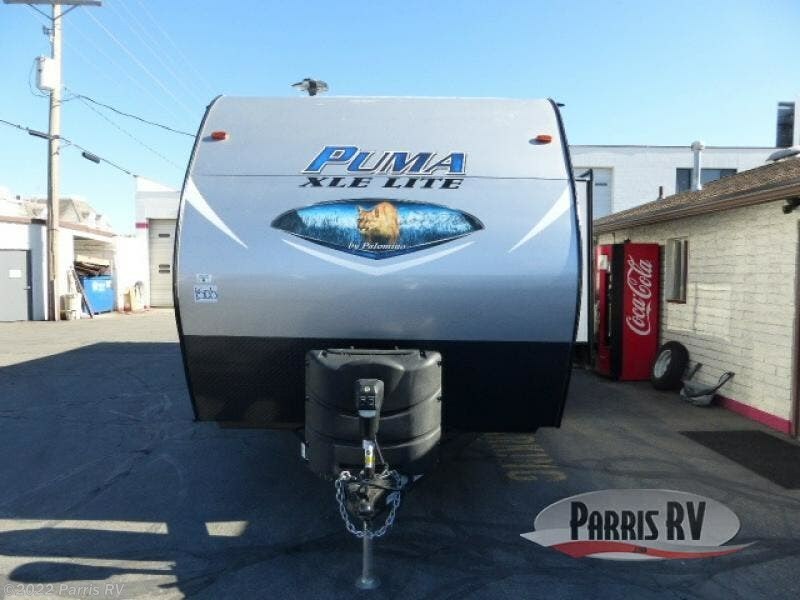 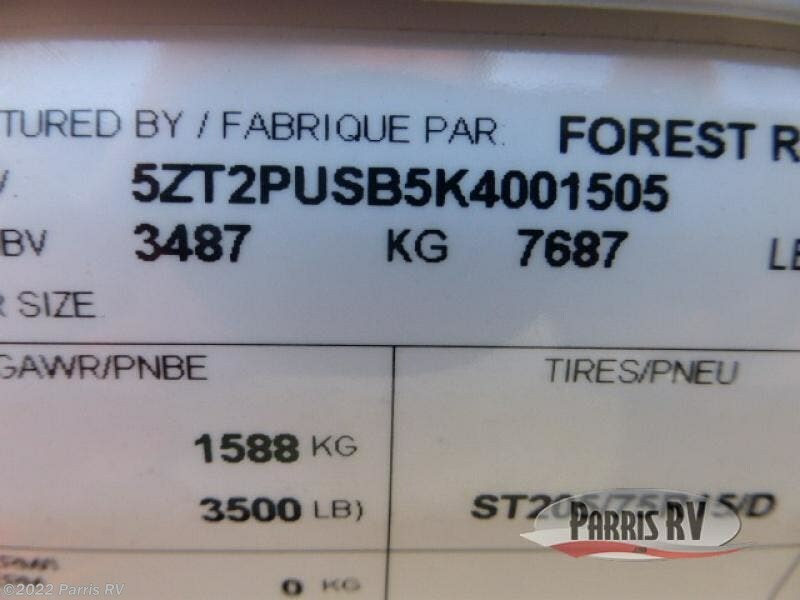 Check out Stock # PU001505 - 2019 Palomino Puma XLE Lite 27RBQC on palominorvsource.com!